Please read this agreement carefully before purchasing iSocials services. 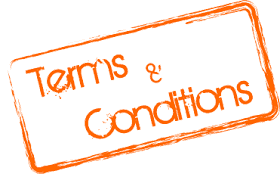 By purchasing iSocials’ service, you indicate your acceptance of this agreement and its terms and conditions. iSocials possesses full intellectual property rights to all content, images and visual elements on the website. This information may not be used, copied, distributed, transmitted, or altered unless expressly authorized by iSocials. The content and website are protected by U.S. and foreign copyright laws. These belong expressly to iSocials or other copyright owners who have given express authorization to use their information on the iSocials website. As you are bound by the Terms of Agreement, you must indemnify, defend and hold iSocials harmless for any claim arising out of, relating to, or connected with your alleged breach of the Terms of Service in using iSocials’ service. You must also indemnify, defend, and hold iSocials harmless based on any claim alleging facts that, if true, would constitute a breach of this Agreement. iSocials only requires confidential information that enables to pursue the service. Any other material or information sent to the website will be considered non-confidential. You authorize iSocials the royalty-free irrevocable permission to use, display and distribute in whole or in part, the submission in any manner it sees fit. iSocials reserves the right to correct any errors or inaccuracies in the content on the website, or to change and update the content at any time without giving prior notice. However, iSocials does not guarantee that errors, inaccuracies or omissions will be corrected immediately. The term of this Agreement will begin upon iSocials acceptance of your job order and will end when terminated by either party. If iSocials determines, in its sole discretion, that you are abusing the system, the company (without limiting any other rights or remedies available to it) withdraw your participation and withhold any amount to you.